Today we were involved in one of the most enjoyable events of the year - the annual Abingdon joint-schools Carnegie Shadowing event. This year groups of children from six Abingdon schools took over the Guildhall to discuss, debate, argue, cajole, perform and vote for the eight books on the shortlist ahead of the public announcement tomorrow. 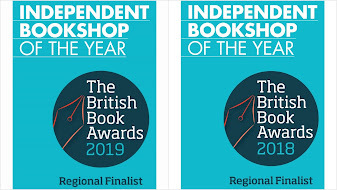 The judges had the enjoyable - if intense - task of reading through scores of reviews from the different shadowing groups, picking winners and highly commended entries - and marvelling at the range of responses caused by each of the books. The reviews ranged from the funny and lighthearted, to more passionate and serious responses in which young reviewers pleaded with the reader to 'go read this book' sometimes with 'tear-stained pages' and 'crushingly heart-breaking' storylines. Two groups stages an initial debate to discuss the pros and cons of the book. There were hugely imaginative approaches and it was a privilege to be involved. Finally, ten groups staged 3-minute performances. They took the form of debates, 'reduced' plays of the books, philosophical skits and 'teasings out' of key elements of the books. Given that this year's books feature quite a bit of characters dying, there were some good stage 'deaths' during the afternoon (and at least one school uniform which got trashed by the looks of things). Back at the Carnegie Tea earlier this year, the children voted on the book they expected to win before reading commenced. 'In Darkness' was the clear winner then. However, at the end of the event today, all the children voted on the book they would most like to win. 'Wonder' by R.J.Palacio was the clear winner. The reviews from the children for this book had hinted at this. 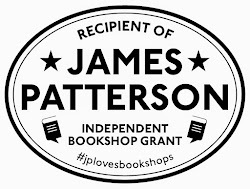 We in the bookshop tend to agree, despite some exceptionally fine books on the Carnegie list this year. Just to be clear - Mark attended the Carnegie Forum - but posted as Nicki. Daughter in Yr 7 at John Mason had a great day. Thanks to everyone involved in this excellent Carnegie Shadowing project. It opens the youngsters (and their parents) up to new authors and great to have the contact with students from other schools (state and private). Top idea to mix the six different schools within each judging group, so it's collaborative rather than competitive. And thanks, Mark, for the report!